Ahead of the MLS All-Star Game, Bobby Convey spoke with MLS Reserves. Convey was selected to the All-Star roster for the second consecutive year. 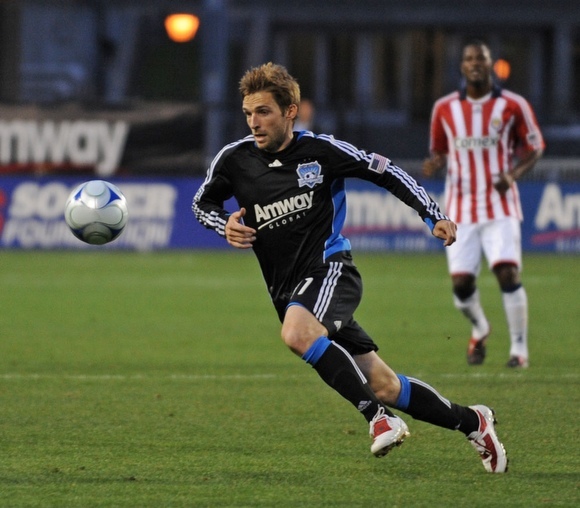 He’s been consistently effective for the San Jose Earthquakes as both a left back and a midfielder. 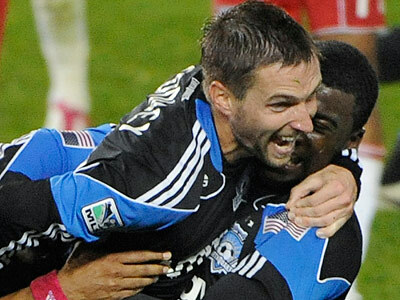 San Jose has only lost twice in its last 13 matches and Convey’s efforts have played a huge role in that. 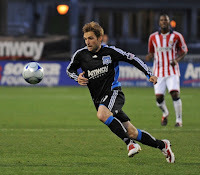 He is one of two Earthquakes, the other being Chris Wondolowski, to be selected to the MLS All-Stars. Bobby was generous enough to speak with MLS Reserves about the season thus far, his All-Star selection and thoughts on his future. Interview after the jump. MLS Reserves: Thank you for taking the time to talk with us. To start off, how has the season been thus far for you? MLS Reserves: Last year’s playoff run, you ended up showing very well against New York. Do you think that played a factor in Hans Backe’s decision to select you as an All-Star? Convey has alot to be proud of since returning to MLS. MLS Reserves: This is your second consecutive year being selected as an All-Star. How did it feel to get that call again? Convey’s family lives in Philadelphia, making the commute easy. MLS Reserves: What does it mean for you and Wondo [Chris Wondolowski] to both be selected from the Earthquakes? What does it mean for the organization and the fans of the team? Convey has been battling a few nagging injuries here and there for the better part of this season; sometimes playing sometimes out. This raised some concerns about fitness. MLS Reserves: Are you still battling any injuries or any health concerns going into the All-Star break? MLS Reserves: Do you know if Hans Backe plans to play you as a left back or as a midfielder? Any idea where he may put you? Preference? ﻿﻿MLS Reserves: Are you excited to be facing Manchester United again? MLS Reserves: What are you future aspirations? Are you looking to go to the national team? Happy with the Earthquakes? It seems like Bobby Convey is content and enjoying his life. He’s playing well for San Jose and earned a call to the All-Star game. Wherever life takes him next, he seem intent on enjoying it and pushing to play well.